...for the months of March, April, and May that is. 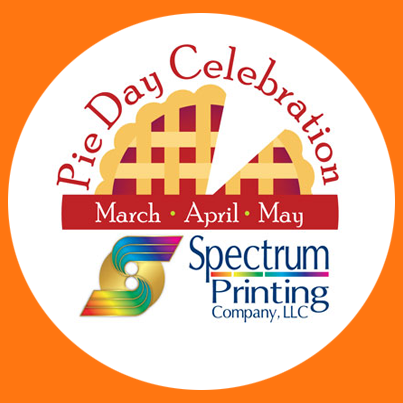 We thought we’d share the fun with you, our good friends in the community, by celebrating the concept of “Pie Day” in a tasty way and saying, “Thank you!” at the same time. And we promise you won’t have to hear us sing. All of our Customer Service Representatives happen to have been born in March, April, or May. That wasn’t a job requirement; it just turned out that way. So, with your first printing order of the birth month of your favorite Spectrum Customer Service Representative, she will bring you a treat. The sweetest satisfaction in life comes from sharing what’s special in our hearts.